This is a recipe my mom used to make ALL THE TIME when I was a kid. 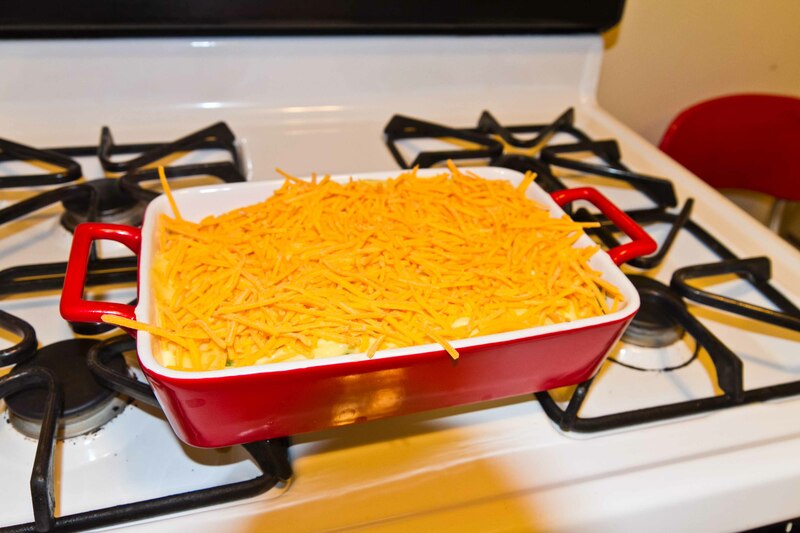 It is a great casserole that hits all of my favorite casserole features – one-dish meal, veggies and meat all in one, cream of chicken soup and cheese. Seriously, could you ask for more? It is great on a cold day to warm you up from the inside and make you happy. My mom always served it with crescent rolls, a rare treat for us. I still always grab a tube when I make this. And if you want to be totally Wisconsin, have some bars for dessert. 7-layer bars would do nicely. In this day and age of easy prep, you can get pre-cooked chicken in the freezer section if you want to skip over that. 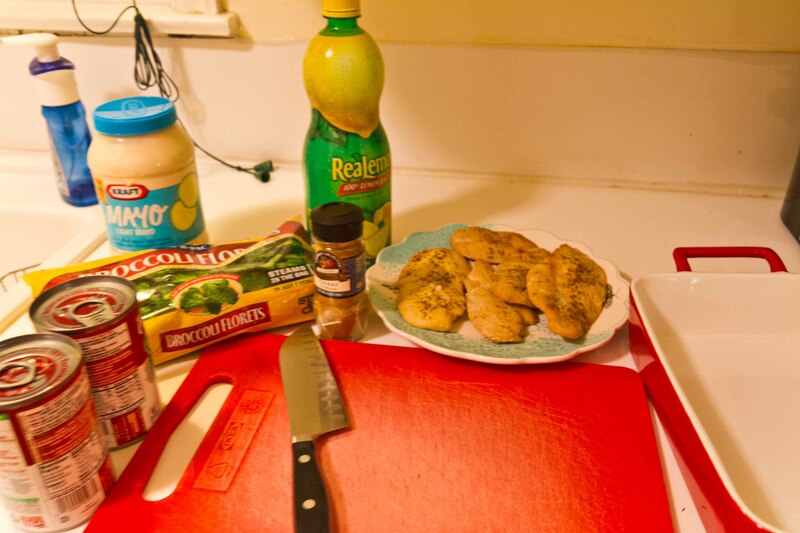 I see no reason why that would be any different than baking up some chicken the night before you make it. 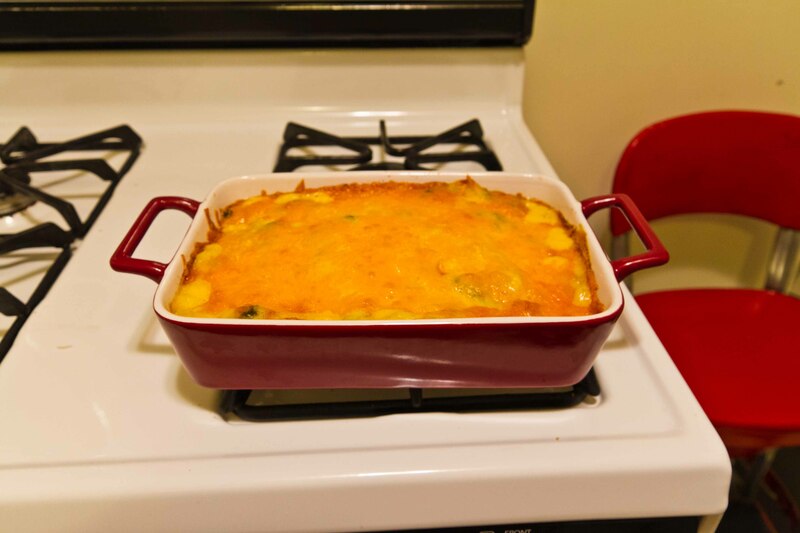 And if you are from Minnesota, please read the title of this dish as Chicken Broccoli Hotdish. *Cook chicken at 350 for 30 min (can be done the night before). I usually just leave it completely plain or sprinkle a little curry on it. It’s going in a casserole, this is not a time to be fancy. Cut up. Place chicken in the bottom of a greased casserole dish. Sprinkle broccoli over chicken. In a separate bowl, mix soup, mayo, curry and lemon juice. 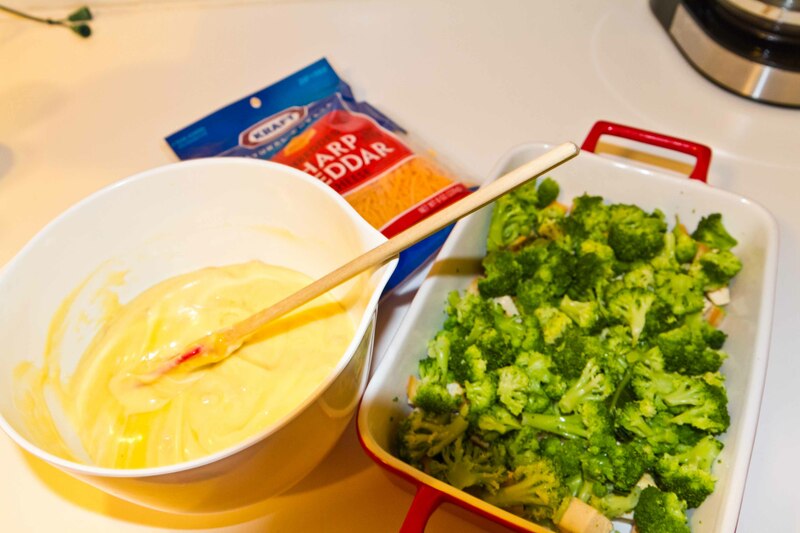 Spoon over broccoli. Top with cheddar. Bake at 350 for 45 min or until bubbly. Sorry that I have shadows of my head in all the pictures.